On Sunday 28th May we had a wonderful afternoon at beautiful Brodsworth Hall and gardens near Doncaster. The weather was great and we had a very good, appreciative audience for our two afternoon performances. Well done to all Shepley Band members who attended. We played really well. Martin, our new Musical Director was very pleased with us all. Between our two appearances we were able to spend an hour looking around the beautiful gardens, getting a snack in the tea rooms or just sitting out and enjoying the sunshine. August takes us to Middleton Park bandstand in Leeds where we will be playing from 2.30-4.30pm on Sunday 13th. Lastly, we are proud to be playing back in Shepley village on Sunday 3rd September from 2.00-4.00pm for a cream tea garden party at Cliffe House. Please come along and support us and your village and of course enjoy a lovely cream tea. Hope to see you all there. 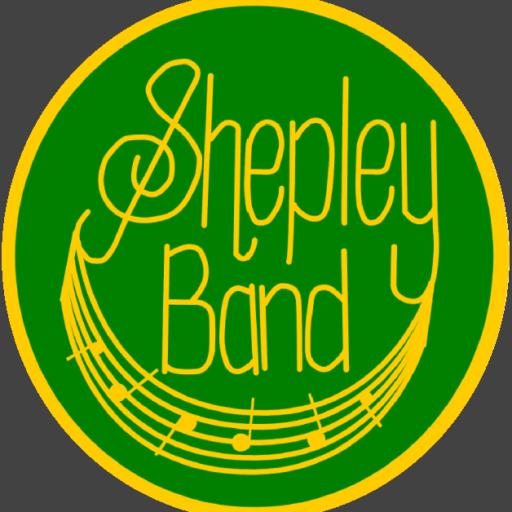 We have some great plans for Shepley Band’s future, so if you can play a brass, percussion or woodwind instrument, why not come along to one of our Tuesday night rehearsals and give us a try. We are all very friendly so please come along and don’t be shy.